QPR manager Steve McClaren is in danger of being sacked less than a month into the new Championship season after his struggling side were beaten 3-0 by Bristol City on Tuesday. McClaren's team are rooted to the bottom of the second-tier table following their fourth successive league defeat. The former England coach, dubbed the 'Wally with the brolly' during his ill-fated spell with the national team, only took over from Ian Holloway in the close-season. But reports have suggested he is already on the verge of being axed by QPR chairman Amit Bhatia. A humiliating 7-1 loss at West Brom on Saturday triggered a barrage of abuse for McClaren from angry QPR fans and he endured a similar reception at Loftus Road after City ran riot. Matty Taylor's goal four minutes before the interval put the Robins ahead. Andreas Weimann doubled their lead five minutes into the second half before putting the seal on McClaren's miserable night in stoppage-time. "It's not been a good start. Am I determined to put this right? Yes," McClaren said. "I knew this was a tough job and it wouldn't happen overnight. "The message to the supporters, and it's a difficult one, is patience." 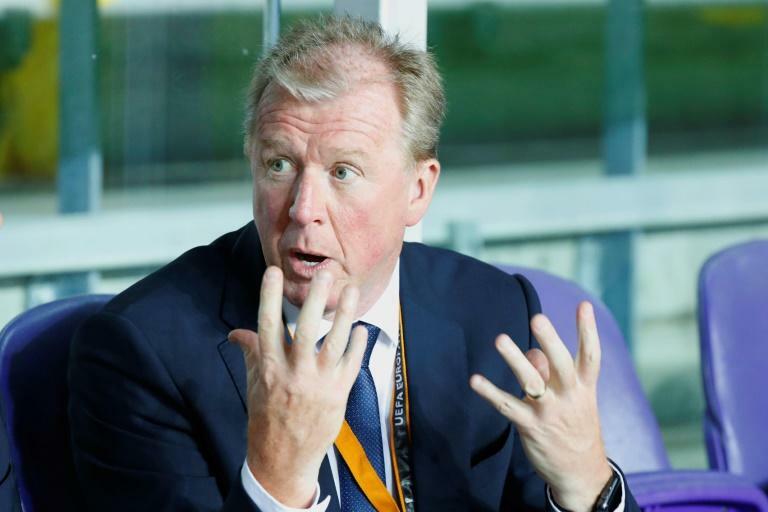 Asked if he is the right man for the job, McClaren said: "Yes. Absolutely. I knew the situation when I came in." Taylor opened the scoring when he collected the ball near the right touchline and was inexplicably allowed to score from a tight angle. He beat Jake Bidwell, who slipped, before firing through the legs of Alex Baptiste and past keeper Matt Ingram, who should have done better. QPR's defending for the second goal was arguably even worse. Niclas Eliasson sent in a cross from the left and Weimann, totally unmarked, nodded past Ingram. Josh Brownhill set up the third, retrieving the loose ball after he had been denied at point-blank range by Ingram and pulling it back from the right for Weimann to score with ease. McClaren has been given little money for new signings and is working with a young squad, but those excuses might not be enough to save the former Newcastle and Middlesbrough boss from being dismissed if results don't improve. Leeds moved into first place in the Championship even though a 2-2 draw at Swansea ended their 100 percent start. Oliver McBurnie twice gave Swansea the lead as the striker haunted his hometown club. But goals from Kemar Roofe and Pablo Hernandez, a former Swansea player, illustrated the character that Leeds boss Marcelo Bielsa has instilled in his squad in just a few months at Elland Road. Former Argentina and Chile boss Bielsa remains unbeaten since taking charge, with Leeds above Middlesbrough on goal difference. Frank Lampard celebrated his first home win in management as Derby beat Ipswich 2-0 at Pride Park. Two goals in eight second-half minutes from Wales internationals Joe Ledley and Tom Lawrence ensured former Chelsea star Lampard got back to winning ways after successive league defeats. Hull came from behind to win 3-2 at Rotherham, a result that ruined the hosts' best home run since April 2001.